Fishtail braids are always a great choice for relaxed summer hair. While they may look complicated, they can be achieved relatively easily and quickly. Give a fishtail braid a try for a youthful look, perfect for the weekend. 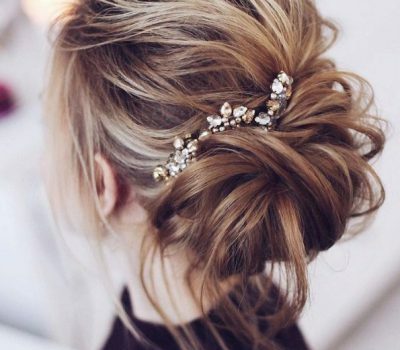 1: Pull your hair neatly into a ponytail and secure it with an elastic band. 2. 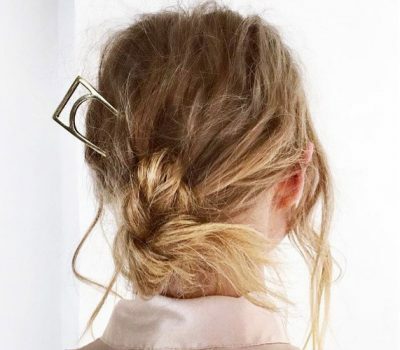 Divide the ponytail equally into two parts. 3. Take a small section of hair from the outside section of one side (left) and pull it over to the other side (right). Take a section of hair from the right side and pull it over to the left side. Keep repeating pattern until all hair is plaited. 4. Secure ends with an elastic. Cut off your elastic on top (that holds the ponytail) or keep it in for a more secure look and hold. Need more help? Check out this Fishtail Braid Tutorial from Luxy Hair.